The prize will go to the best discovery, invention, medical advance, idea or initiative that enhances quality of life for older people. 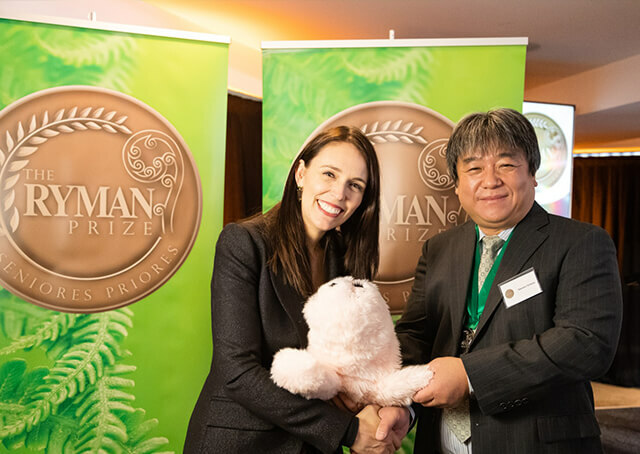 Professor Shibata was awarded the 2018 prize by The Right Honourable Jacinda Ardern, Prime Minister of New Zealand (pictured), for his tenacity in pursing new technology to help ease the burden of older people suffering from dementia. The 2018 prized attracted a record number of entries and Ryman Prize director David King is expecting more interest this year. Entry forms for the 2019 Ryman Prize are available at www.rymanprize.com Entries close at midnight on Friday, June 28, 2019 (New Zealand time).